Few dancers possess the dazzling technique and platinum elegance of Nao Sakuma, who took the title role of Princess Aurora in this wonderful BRB production. Yet the others were at the top of their game also, and they could hardly have been anything else: Petipa’s choreography is unforgiving. The costumes and sets were in red and gold, suggesting a lost European court, one of those vanished kingdoms like Burgundy or Savoy. Just look at some Lucas Cranach works and you’ll soon pick up on the colour scheme. Not unlike as in our world, monsters are messengers. 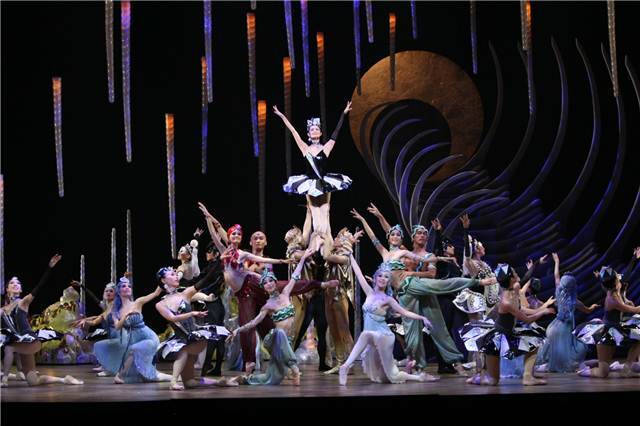 This was a feast for the senses, an enchanting marvel, a production that inspired you to dream. The Sleeping Beauty is at The Lowry until 28 September then it tours throughout the UK. Further details are here. You are surprised to learn that it is a new ballet, first performed just in 2008 in fact, since it appears and feels so much like a part of the classic repertoire. There is the beautiful princess, the evil villain, the hero descending into the underworld… Aladdin edging his way fretfully into the cave. The sets and costumes are enchanting; the lighting and special effects – magic carpet and all – are, well, magical; the dance is an undulating wave of sweet motion. In the scene that ends act one there is what one can only call an homage to Jewels, George Balanchine’s tripartite tour de force. It’s all copacetic. And just to be clear: children will enjoy this ballet as much as adults, and there is nothing in it to disturb or offend. Aladdin is at The Lowry until 2 March, and then tours various venues throughout the UK until the end of the month. Full tour dates are here. Just the half an hour or so, that’s all it lasts, but it rapidly becomes unbearably involving even so. It’s due to the intensity of the drama, the way you’re drawn into the urgency for renewal, how it unremittingly builds and builds. You feel it in the pulse of your blood. And for renewal to come about a chosen one, a sacrifice/scapegoat, is needed. Who will wear the red dress, and dance unto death? It is the tenderness that scares the others off, those who decline the dress. A hand reaching out to caress, let’s say. Or it may be what they read in the man’s face: desire, need, hunger. Death wants only the very brave. This last dance is, as well as being thrilling and climactic and incredibly moving, simply an incredible performance. For how do you attain in dance an absolute abandonment (one culminating in the loss of life itself) while retaining always at least a crumb of control? Death may no longer be a taboo; but dying is. There is an elemental quality to the staging, in keeping with the nature of the ballet and Stravinsky’s disconcerting score: the men in black trousers, the women in white ethereal dresses (a nod to Café Muller perhaps), looking for all the world like two antagonistic packs, hunting each other. The earth lies strewn at their feet. A red garment is the stark battle line between them. In Bausch’s choreography, whose subtle geometry is here apparent, their movements reach for the fluidity of ballet but anxiety always fractures the harmony of the moment. Dance constantly morphs into drama and violence. This performance was filmed in Wuppertal in 1978, three years after its premiere there, and it still feels dangerous and edgy even now. There is an accompanying booklet with the DVD, which includes black and white stills from the film and a first-hand account by Jo Ann Endicott, one of Bausch’s dancers, of being involved in those first productions. And Cocteau writes about the first responses to Le Sacre du printemps in Paris in May 1913, and of his friendship with Stravinsky and Diaghilev. The booklet is in French, German and English. This marvellous production of the classic ballet clocked in at close to three hours of well-nigh perfect dance. The two leads, Tamara Rojo in the role of Princess Aurora and Vadim Muntagirov as Prince Desire, are spectacular dancers; and one only realised how good – how breathtakingly good – a dancer Muntagirov is during the third and final act. His solo was wonderful. They all – all of the troupe – pull their weight, mind. And they have to, for the intricacy and variety and, yes, let us be in no doubt about it, the sheer technical difficulty of Marius Petipa’s choreography demands it. There is a clue here, too, as to why the ballet has stood the test of time: for there is so much here, an embarrassment of rich delights, to savour and enjoy. 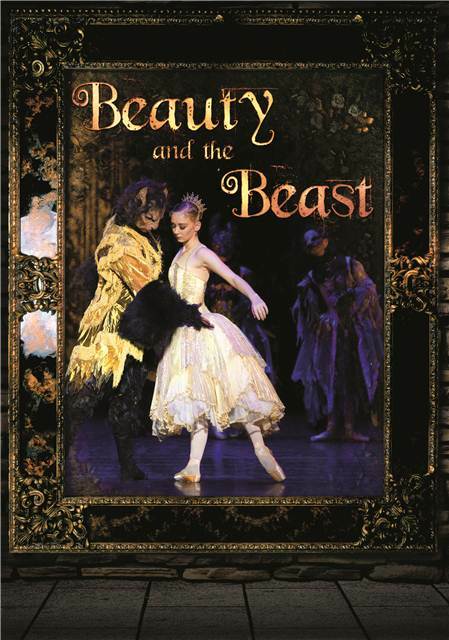 Be in no doubt, English National Ballet’s The Sleeping Beauty will awaken and revitalise all your senses. 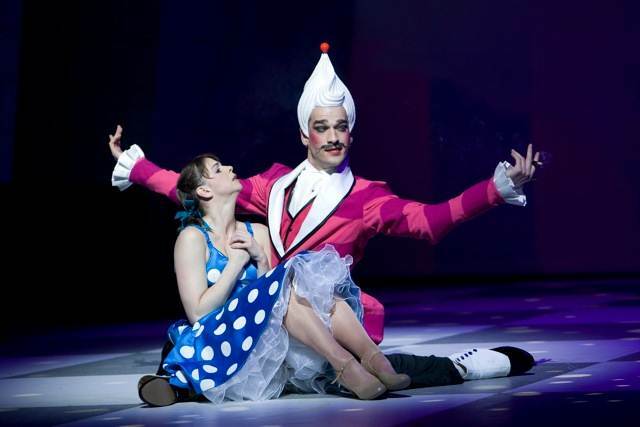 The Sleeping Beauty is at the Opera House until 1 December then tours the UK up until March 2013. Details of future tour dates can be found here. Ballet Central 2012, Central School of Ballet, Code, Matthew Hart, Pas de Trois, Whodunnit? There are several stars of the future here, but it wouldn’t be to their benefit to name them. The show featured seven short works, each being performed by the final year students of the Central School of Ballet. Some could be called modern dance (such as Code, characterised by abrupt gestures and hard-edged movements) though most were ballets, for example the traditional and technically challenging Pas de Trois. Period, picturesque and quite a puzzle is how I would describe the final work, Whodunnit?, conceived and choreographed by Matthew Hart. The conceit was that an Agatha Christie novel or the Cluedo board game had been brought to life, recast as a narrative ballet. It was charming and ultimately compelling. The programme was varied and fresh, the dancers were of professional calibre and not a few are principal dancers of the future. Adventures rarely promise and deliver as much. Ballet Central 2012 is touring the UK until July, details here. The whole of this show – the complete shebang – is an exercise in enchantment. It begins with the still alive and kicking orphans shuffling bashfully onstage, into the glare of a waiting audience, surprise etched on their faces, and ends in a nightclub whose entrance is an inviting, open mouth (think of Mick Jagger’s lips) and whose interior is graced by a gigantic wedding cake. It is the figures on the tiers of the cake below the bride and groom who come alive: a telling detail. Among them there’s a lounge lizard with a pompadour that is topped by – what else? – a cherry and a lady in a liquorice allsorts dress (the doorman to the night club might also have been dressed as one of the less popular liquorice allsorts). And there’re a gang of sweet girls on the razz. Wherever you look, whether at the choreography or costumes or sets, your eye encounters delight. The highlight for me was when the ginger boy toy – he’s a catalyst for intimacy – came to life, in a scene that alludes to both Frankenstein and Coppelia. What makes the show work so well is that it retains the fairytale feel while adding a definite air of eroticism, a subdued kinkiness or naughtiness. So there’s one lad – one of the poor, betrodden orphans – who rather than a deflated football prefers a doll for Christmas, liking nothing better than to look up her dress… Or again, in the second part, the emphasis is on kissing and, lets say, the sweetness of human flesh rather than sweets per se (as in the traditional version of the ballet) – though liquorice allsorts, as indicated, do get a major look in. All of this naughtiness is done with subtle humour, mind, and in the twinkling of an eye. Young children are unlikely to take much heed of it and there’s much – an abundance of stuff, actually – in this show to enchant and delight them. So unlike Matthew Bourne’s Cinderella, I’d definitely recommend Nutcracker! as being suitable for children. This was a magical, transporting evening, a wonderful version of the story. Matthew Bourne’s Nutcracker! Is at The Lowry until 24 March, details here. This vibrant production brings out all the edge-of-the-seat drama and colourful spectacle of the classic Shakespearean story. At its centre, there is Prokofiev’s supple score: a dangerous and tremulous beast, lithe yet soulful. The courtship is delightful, of course, and Daniil Orlov (as Romeo) and Liliya Orekhova (Juliet) make a fetching couple. Even so, the thrilling swordplay and jousting slyly trumps it in this production, such is the power of these scenes. Talgat Kozhabaev (Tybalt) is a most impressive villain. And then, overarching all, there is the shadowy spectre of death, the ballet is virtually framed by it, and the suggestion and insinuation of an existence beyond the threshold of the perceptible world. It is all in present in Prokofiev’s score, naturally, and it’s perfectly realised on stage. Moscow City Ballet are touring the UK until the end of March, future tour dates are here (click and scroll all the way down).